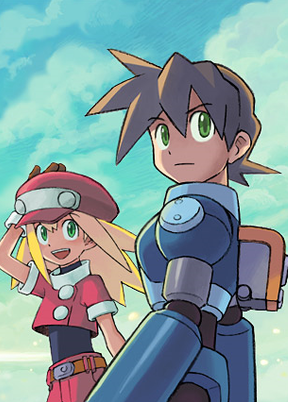 Want actual proof Mega Man Legends 3 is really in development? Later this month, if you're a resident of Japan, you can play it! Capcom today announced plans for a special Nintendo 3DS event titled "3DS x Capcom Premium Demo Event." Taking place at the Belle Salle event space in Akihabara on the 29th, attendees will have the opportunity to actually play Mega Man Legends 3. The game will be presented in a prototype form, also slated to be demonstrated at a series of stage events. The public demo will take place between 15:00 and 20:00. Admission is entirely free, so if you're in the area, do hop on over there and give it a spin! Don't live in Japan? Cross your fingers for some gameplay footage to trickle out. I doubt Capcom will allow camera work, but you know how these things usually leak our way. I should have known you were already on top of this. Anywho I hope this means we could get a demo or maybe a trailer brought over here soon. Damnit I can't wait for some footage of it! What a glorious, happy day..! Well isn't that just neat. Honestly, I'm psyched. Stoked, in fact, for MML3. Can't wait to play it! Also can't wait to have my other comment published. Consider it published, Omar. Can't believe I missed that; you got a laugh out of me. Pffffft. Just because you PLAY the game doesn't mean it actually exist. Seriously. But in all seriousness, I really am curious to see how it's progressing. I am waiting for this game to come out before I buy a 3DS. I will not even look at the screen in a store, or demo the 3DS unill legends 3 is released. I want legends 3 to be the first game I ever play in 3D. Yay but how about us here in the north well atlist some of the gameretailers/shop putting a demo place for 3DS, so will just wait in our eng version. Im so excite, I want to see some trailers or videos heres droowling..
Cant wait to have a 3DS, I could feel my hands shaking from happiness, and I im visioning Megaman Legend 3D its like poping through my mind with glee feeling.